Bringing in the tree; from left to right: Vincent, my DIL’s dad, Nicholas, Sophia and my DS. 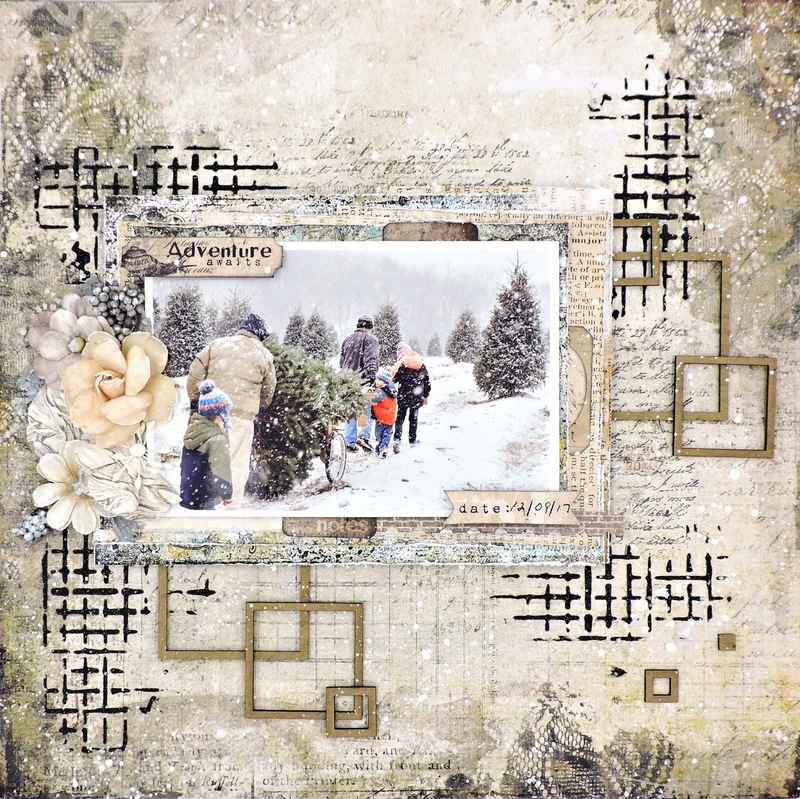 Here’s more of the Christmas Tree Hunt, using old supplies – in this case, Blue Fern Studios papers and 7 Dots elements. I started by covering the Stillness sheet with clear gesso and allowing it to dry. This cuts down on the warping from mixed media. Meanwhile, I cut the Road Trip sheet into various shapes and sizes, arranged them to fit under my photo and stapled them together when I was satisfied with the “pile”. The photo was adhered to a piece of corrugated packaging to give it some dimension and glued to the top. Next, I decided exactly where I wanted to place my photo and marked it with a pencil before randomly stenciling and then stamping my page. After adhering my photo, I added some bare chippie squares and flowers to embellish my page, then a few of the 7 Dots Elements around the photo. (I’ve used one of these for my title on top of the photo and another on the bottom to record the date.) 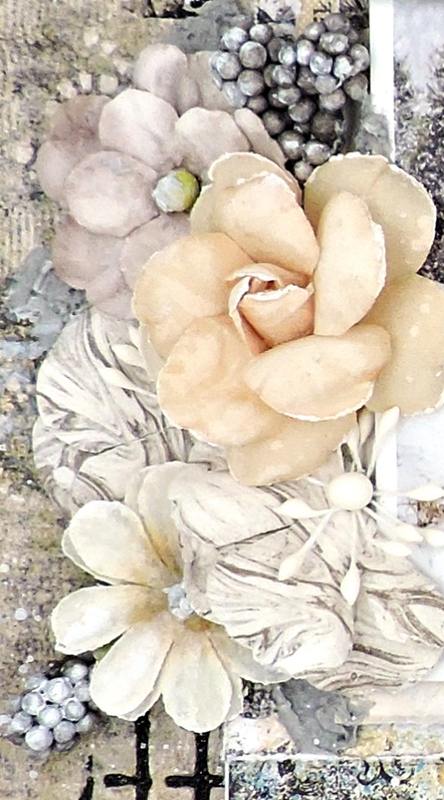 Next, I added a little Stone Effect Paste around the flowers to add a bit of texture. I finished it all off by covering the photo and creating a snowfall around the page with watered down gesso.